The BDN S3 is a lightweight, fast and nimble two seater sports car which is ideal for both racing drivers and track day enthusiasts with affordability and performance in mind. 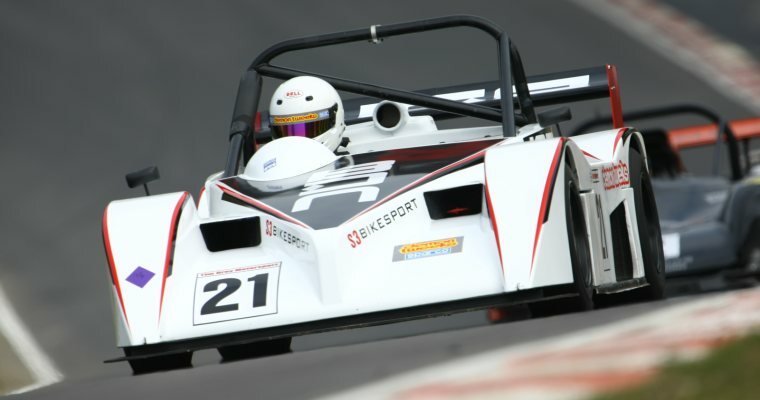 The chassis has front and rear aluminium bulkheads supporting subframes that help minimise damage to the main chassis in the case of an accident, which potentially enables substantial damage to be repaired quickly between races. An all new body for the BDN S3 is designed to reduced drag and produce more downforce. The bodywork, which also forms a crushable structure, has two main configurations - one for slicks and wings style racing, where high front downforce is required and one for RGB style racing where aerofoils are not allowed. The S3 was over 3 years in design and build, but it took just 8 days from the first track test to the first race victory. The next day the S3 set its first lap record, it was the first of many, so far records have been set at 4 out 5 circuits visited. Victories have been claimed at 6 out of 8 races entered in the RGB championship. As with the BDN S2 the S3 has been designed to achieve success in the 750 motor club Road Going Bike-engined championship (RGB), however the S3 has also been designed to allow simple adaptation to suceed in many other championships.